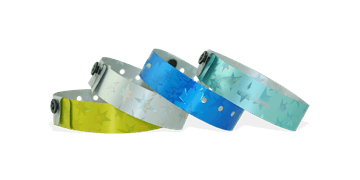 Stand out from the rest by providing your guests with fun, stylish holographic wristbands. 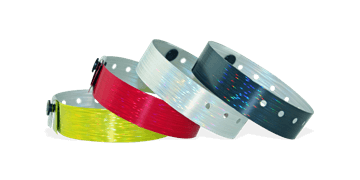 Available in a range of colours, the metallic like finish sparkles when the band catchs light. 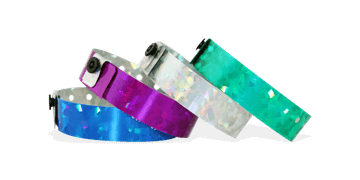 Great for club and party venues, festivals and bar. 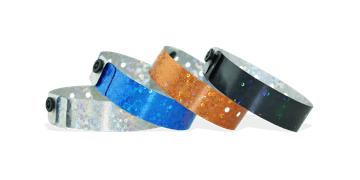 Holographic bands can be supplied either plain or custom printed.